The manual test stand TEX555 model is designed for simple compression and tensile testing up to 2000N and thanks to its lever handle, it's ideal for medium force testing applications when a quick result is required. 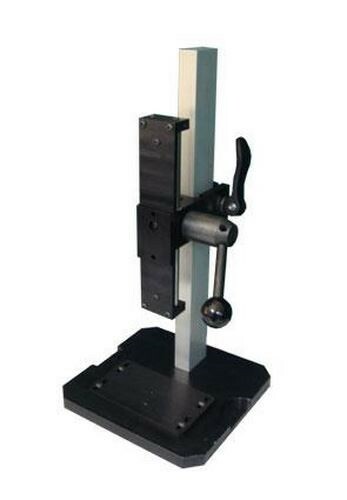 This manual test stand makes accurate and repetitive tensile and compression tests for springs, crimps, foam, peel, crush and much more force testing applications. Compatibles with our digital Force gauges, the force manual test stand TEX555 suits testing appplications in production or laboratory environment for an affordable price, and combines with a pair of fixtures create your dedicated force measuring solutions. 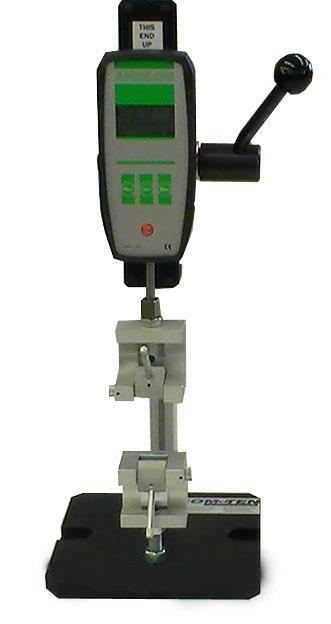 A TEX 555 manual stand mounted with a Centor First force gauge for si^mple packaging peel testing.